For those individuals who need help every day, nursing homes have been one of the only options, providing skilled medical care in an institutional setting. 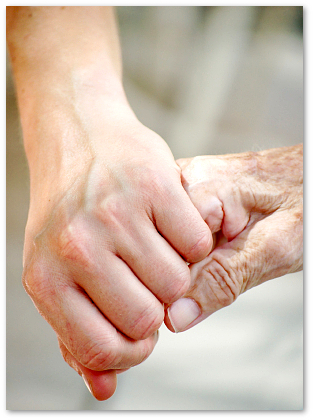 Often times, a person living in a nursing home does not require constant medical attention. Other patients may desire a homey environment or more independence, while still receiving the services they need to be safe. This is where Arlington Place makes a difference. 1. Schedule a Tour - Tours are offered 24/7 for your convenience. Advance notice is appreciated. 2. Meet with staff - We encourage you to sit down with our staff and have a cup of coffee. They can answer any questions you may have an introduce you to current residents. 3. Put down a $300.00 non-refundable deposit. This deposit reserves your suite for 30 days and guarantees no one else gets the suite you want! 4. Schedule a date/time for paperwork. Staff will work with you to schedule a date to complete rental paperwork. If you desire to participate in Arlington Place home care, a date will need to be scheduled with the RN to set-up those services. 5. Move In! - Arlington Place staff will be here to assist you if you have any questions during the move-in process.